I discovered Patrick Lencioni a couple of years ago when I picked up his book The Advantage. It was the best book I read that year and still remains one of the best books I’ve ever read on organizational health and leadership. Every pastor should read it. I recently came across his newest book The Ideal Team Player and wanted to share the main premise with you. People are the most important part of your church. That goes without saying, but you have to remember they can either make your church or break your church. Every successful church is successful because of the people in it. Every church that has failed has failed because of the people in it. I’m not trying to take God out of the equation. God is constant. The people are the variable. So, you have to get the people part of this thing right, especially the people on your team. 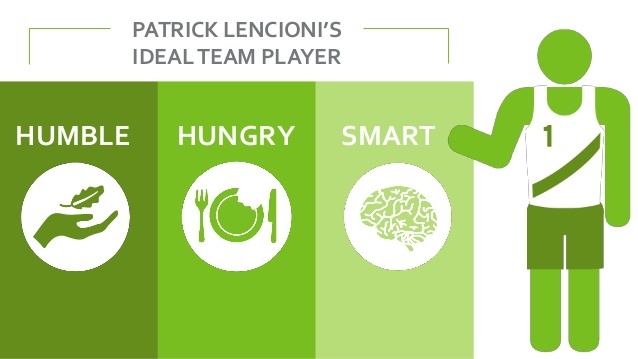 Patrick Lencioni says there are three virtues that make up the ideal team player. People with big egos don’t perform well in a team setting. If they’re more concerned with their success than the team’s, you have a problem. A person who is humble will always look for ways to compliment someone else on their performance and will be slow to seek attention for their own. An arrogant person who makes everything about him will destroy a team by creating resentment and division. Humility is the single greatest and most indispensable attribute of a team player. Hungry people just want more. More to do, more to learn, and more responsibility. They are self-motivated. They are constantly thinking about what’s next. Hunger misdirected or taken too far can be a negative. Healthy hunger is a commitment to doing a job well and a willingness to go above and beyond when necessary. Lots of people will project a sense of hunger to try to get a job or position. That’s why it’s always best to look at their past patterns to discern if it’s real. They may not be the most intelligent person, but they possess a common sense about people that makes them invaluable. They are relationally smart. They know how you talk to one person may not be the best way to talk to another. They learn the team. They ask good questions and spend time listening to what others say. They understand the impact of their words and actions, so they don’t say or do things without thinking about the likely responses of their teammates. If just one of these virtues is missing in a person, they become significantly more difficult to have on the team. It requires all three. So, when you find a person who possesses all of these qualities, you would be wise to get them on your team as quick as possible. What do you think about these virtues? What would you add? Leave a comment and let us know, and while you’re here don’t forget to subscribe to the blog to get tips on church growth, leadership, and more delivered to your inbox each week.